The evil Shogun Kunitoki has long envied the powers of the Ninja brotherhood and would do anything to acquire their knowledge. 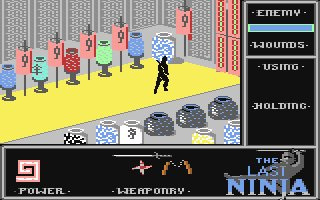 Once every decade all Ninja must travel to the Island of Lin Fen where they pay homage to the Shrine of the White Ninja and receive further teachings from the Koga Scrolls. Seizing the opportunity Kunitoki summoned forth all the spirits from the depths of the Nether World and flung their full force against the amassed Ninja. None escaped the wrath of Kunitoki. Word soon reached Armakuni, the last Ninja, of the unnatural disaster that had slain his brothers and gathering all his courage he swore to wreak a terrible revenge on the Shogun and all his followers. What unforeseen hazards lay in wait for him? It's been ages since I last played this!! 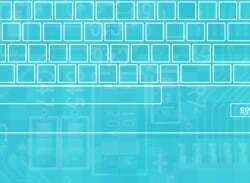 My cousin had it on his Apple IIGS. It was fun. And what a great soundtrack!! Second level's music (The Wilderness) one of the best C64 soundtrack. Very great but hard game. I'd like to know how this plays with the classic controller, and in terms of difficulty, how does this rate? what game can it compared to? The controls were never brilliant to start with, but they're a bit wobbly on the d-pad. 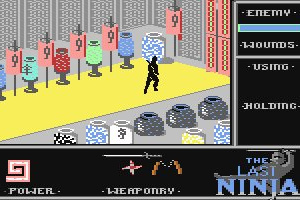 As for ninja games, I'd love to see Saboteur, but I'm not sure it's likely! Oh wow! 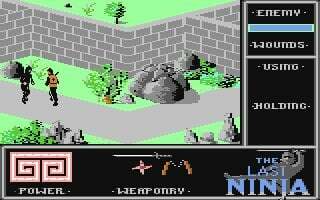 The first non D64-TV game and it's one of the best games ever released on the C64. I can't wait to fire it up again after all these years. Yes, the controls take a bit of getting used to and it's quite difficult but I can't think of many more atmospheric arcade-adventure games out there than this. 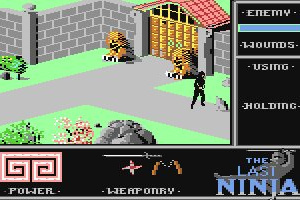 Beautiful graphics and a truly fantastic soundtrack show just what the C64 was capable of. Wow, that soundtrack is epic indeed. I really don't know about the game (kind of wary about isometric games, especially if they're that old), but the music really is awesome! I left the video running while I continued to look at other news articles in another tab just so I could listen to it! The game may or may not be worth a download, but seeing as it also may or may not ever get released in America, I don't really need to worry about it right now, do I? Controls works, I guess, with a gamecube controller. I find the analog stick easier for this and IK. d-pad+diagonals doesn't really cut it for me. awesome awesome awesome!!! 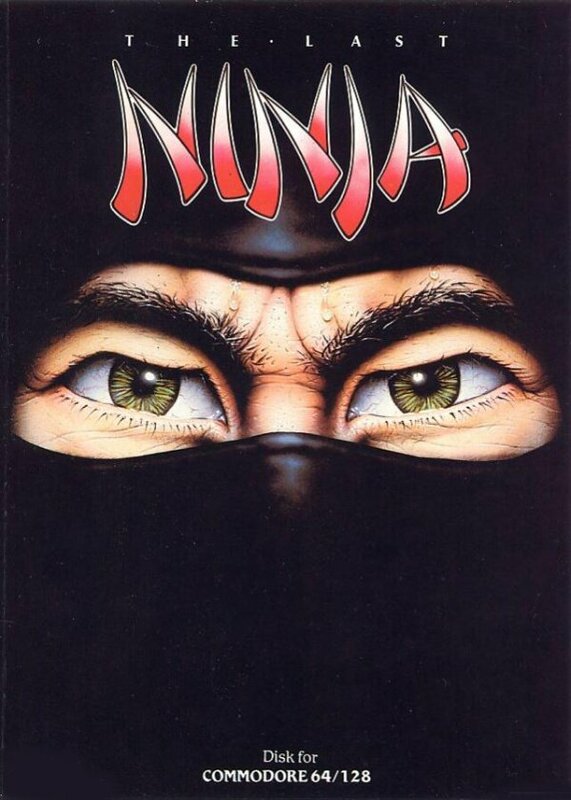 The most epic game around before nintendo came on the scene. If sexual favours are required to get the c64 to australia, point me to the person with the influence to make it happen! I'll prolly give it a miss, which is a shame because the music on that video is awesome. Wow this looks like about the best game on the Comodore 64 on virtual console so far. I played 1 and 2 back then; just hope they're gonna release 3 on VC. The video shows a real pro there, I remember the jump parts to be really annoying and frustrating but the games were still a worthy experience showing off what the good old 64 could do. I downloaded it yesterday, played it a while with the remote. It´s not working well with the remote, so I tried my Cubecontroller. Don´t know why sometimes at the download page is written, that the games are not compatible with the cube controller. 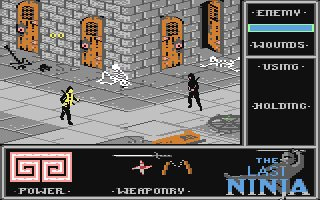 Last Ninja is great with the cubecontroller, because all commands are on the buttons, even weapon changing an activating, which is terrible with the remote. Wonderful. 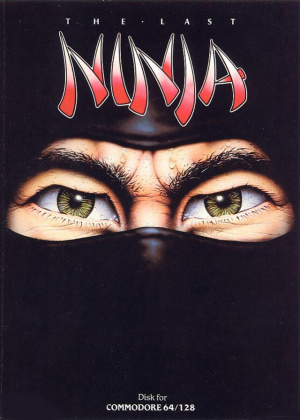 Moving with the stick is easier, so there is no way to argue anymore about hard handling Last Ninja.Only jumping is still pure terror, but after you found the best way its okay. Time for me to take pen and paper and getting back to levelmaps! How can music be this awesome in... a Commodore game? This game looks pretty good, gameplay looks good. 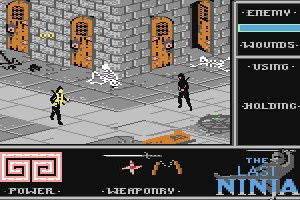 Wow this is gonna be the first Commodore 64 game I download. expa0, you'll find that C64 games pretty much always have great music. As DOOM mentions above, the machine had great sound hardware, and in many cases, the games are fondly remembered more for the music than the gameplay. Cool! so there are more games that have great music like this. of course this games sequel. 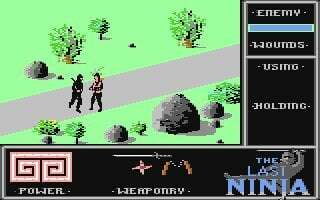 Also I feel kinda noobish now, I always thought, that C64 was more like Atari 2600 which had no music at all. Dang. I wish my Wii would quickly come from the repairs so I could download this game. Reached Level 3 now. Still great. Animated Backgrounds all over the place. Get this! expa0, you may be familiar with the band Machinae Supremacy, who use a C64 sound chip in their music. The sound capabilities of the machine were well ahead of their time, and quite unique in comparison to other machines of the era. It's probably the only 8-bit machine where the soundtracks are still so fondly remembered (aside from classic theme tunes like Mario and Zelda, of course). A good game but the controls needs to get used to. 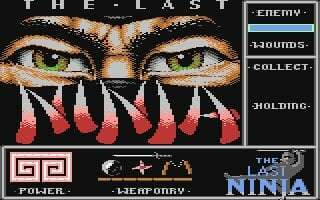 If this comes out, then Last Ninja 2 and 3 must come as well. Hopefully soon ! I still think that The Last Ninja 2 is the best one of the sequel. This is an all time commodore 64 classic. 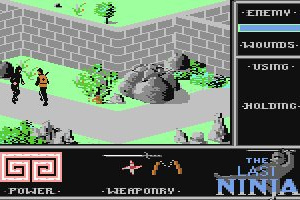 The music is great the control method is a bit tricky to start with, but once you get the hang of it you will soon be in C64 heaven. The sequels are good too, but ths is the true classic. Downloaded it yesterday. At first I wasn't fussed because of the controls but after spending some time and getting to grips with them, I have to say I'm impressed. One of the best games I've downloaded in a while. U.S.A Shop channel needs the Commadore 64. I'd like to play this, it looks fun. It is a great game but MY GOD is it frustrating, I'm sick already trying to jump back over the river in level 2. Note to developers: if you are going to have a fiddly jumpy bit that requires luck and good fortune (the collision detection is awful) then put it at the beginning of a level not the end! This one i bought only because of its unbelievable good music parts. 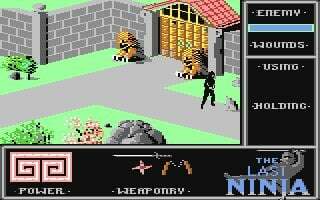 This game is awesome, remember it from way back. If I remember rightly you could get infinity life - anyone remember how that worked??? Reminds me of a extremely early Fallout game. I just downloaded this and the screen flickers constantly. Is anyone else having this problem? I always found isometric games to be somewhat akward to play, but that's just me. Somewhat late answer but the apple is eaten automatically. If you have an apple in your inventory, dying results in losing the apple instead of a life. In essence, it's an extra life. Only the first and second level are difficult. After these the game is not that hard anymore. A great game. Aged very well. Controls aren't as bad as expected. In fact Classic Controller works like a charm on this one.